Eldrick Tont “Tiger” Woods (born December 30, 1975) is an American professional golfer whose achievements to date rank him among the most successful golfers of all time. Currently the World No. 1, he is the highest-paid professional athlete in the world, having earned an estimated $90.5 million from winnings and endorsements in 2010. On December 11, 2009, Woods announced he would take an indefinite leave from professional golf to focus on his marriage after he admitted infidelity. His multiple infidelities were revealed by over a dozen women, through many worldwide media sources. 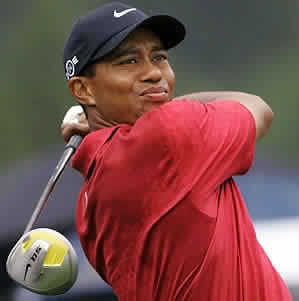 Woods returned to competition for the 2010 Masters on April 8, 2010, after a break lasting 20 weeks. In July 2010, Forbes announced Tiger Woods as the richest sportsman in the world, earning a reported $105m according to them and $90.5m according to Sports Illustrated. Posted in Bios and tagged Tiger Woods. Bookmark the permalink.